Since making our first valve cover lamp, the market has gone crazy over them. Everyone – and we mean EVERYONE – has loved them and commented on how unique and incredible they are. Simplistic in design, its sleek industrial look will catch the eye of anyone who sees it. And while it is simple in concept, there are more than a few tricks that you need to be aware of when it comes to making one. You can see examples of the finished products at http://thehardycollection.com and there’s also a more in depth DIY manual there as well if you need it. You can also download the free DIY guide that offers even more specifics and a more detailed parts list by clicking here. The beauty of this project is that you don’t need many tools to complete it. 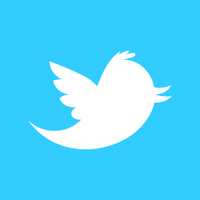 We recommend the following list of tools, which you can preview by click on each of the links below. 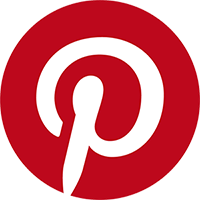 Some of the links on this page are affiliate links and as an Amazon Associate I might earn a tiny amount from qualifying purchases if you end up buying something through one of them. 1.25” Hole saw (Inch and one-eighth holesaw) – or whatever size you need to accommodate your pipe. You can click on the links above to see examples of what we are recommending if you don’t already have them. As each valve cover is unique, it’s a good idea for you to start with the valve cover itself. 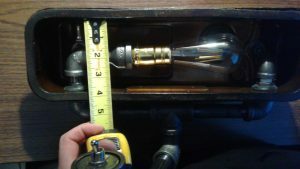 For the size of lamp and material we are recommending here, we suggest you find a valve cover that is no less than 14” long by 3.75” wide on the inside of the valve cover as shown in the pictures below. In our experience just about any domestic vintage valve cover will work from Cadillac, Corvette, Chevrolet, Ford and so on. Import valve covers are often different shapes and as a result you will have to inspect each of them on a case by case basis before buying them. 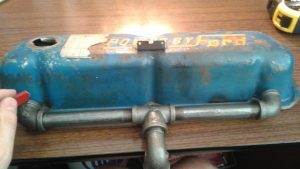 To source your valve cover, we recommend looking through the available inventory at auto wreckers in your area (or you could call them), visiting swap meets or looking online at websites like Craigslist or Ebay. Once you have your valve cover, you can start to gather the rest of the parts needed to make your lamp. Harmonic Balancer 1 Base of Light. You can use almost any style, so long as the inside diameter of the harmonic balancer is big enough so your pipe parts can go thru it. Black Keyless Socket (no switch) 1 Sits inside the pipe to hold light bulb. You can get one here. 18ga lamp wire 18/2 SPT-2 black stranded 10 feet Inside pipe. Plug to be wired with lamp wire 1 At end of wire that comes out of lamp base to plug into the wall. You can get the plug here. Rubber Grommets 2 To put inside the holes in the valve cover to reduce metal on metal contact. You can find these on amazon or ebay. You’re looking for something to fit your pipe size, so if you’re following our guide you’ll need rubber grommets with a 22mm ID hole, 2mm Groove Width, 30mm outside diameter. Semi-Gloss Clear Spray Paint 1 Can of clear to coat the metal pipe. JB Weld 1 To hold toggle switch and washer in place. 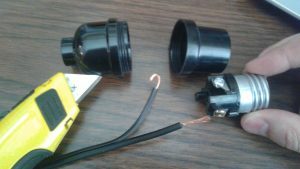 Click here for the black plastic keyless lampholder. Click here for the lamp wire. Click here for the plug. Click here for the closest version of the ON/OFF switch we could find online. The majority of these parts can be found at your local hardware store like Home Depot, Lowes, or you can always purchase them online if you need to. Here are some pictures to go along with the above list for visual representation. 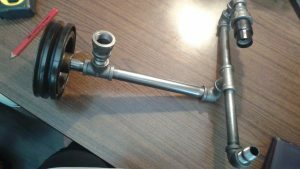 You can change/modify or substitute the various pipe parts to suit your design. At this point, you will have found a suitable valve cover, have the tools that you need and have purchased the list of parts required above and are ready to start putting everything together. Wiping the parts off in hot soapy water can often do the trick, and using a wire brush to scrub them off speeds up the process. Make sure that you have all of the oil and any residue from any glue removed from the parts. Once they are clean, dry them and then immediately coat them with the semi-gloss clearcoat spray paint. Don’t apply the clearcoat to the threads (or if you do, use as light a coat as possible) as it will make threading the parts together much more difficult. Then, when you have coated all of the pipe parts and are happy with how they look (and they have dried completely – usually 30-60 minutes after coating depending on how heavy you coated it) you are ready to assemble the parts as shown in the picture above. When assembling the lamp make sure that you tighten the pipe parts as tight as you can while at the same time making sure that the 90 degree elbows are facing the same way and are parallel. You can always add some of the white plumber’s tape or pipe tape to the threads at final assembly to make the connection tighter. Just remember – if you screw the parts in differently on final assembly after you’ve already cut the holes in your valve cover, you stand a good chance of things not fitting properly. For the “Powered by Ford” lamp, we had no choice but to put the writing backwards as mounting it the other way would have caused the valve cover to come too far forward blocking the light from the lamp, and the writing would have been on the back side and angled away from a person’s view when they looked at the top. So take your time in laying out your holes. You want them to be within 1/16” if at all possible. If you don’t get this right, you may be able to salvage the project by either shaving the inside of the rubber grommets out with an exacto knife or by not using grommets at all. The rubber grommets aren’t totally necessary, but I think they provide a nice little finishing touch to cover the ragged holes left by the holesaw and stop the cover from rattling against the pipe parts when complete. Use a holesaw slightly larger than the outside diameter of your pipe to make your holes. We have found that if you cover the approximate area with making tape you can mark with a pencil exactly where you want your hole to be. Once you have your holes cut, you can put the grommets into the holes and assemble the lightbulb housing that goes inside the valve cover. Once you have located these parts, you can begin assembly. In the photo above, you can see the exposed copper wires and the terminals (screws). We recommend twisting the copper wires together and creating a loop as shown and then wrapping them around the screws and tightening them down. Make sure you attach the correct wire to the correct terminal. 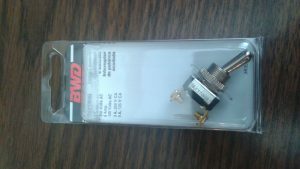 Here is the toggle switch that we use. You can use other toggle switches as long as you can fit it inside of the pipe once wired. Remove the nut from the front of the toggle switch and remove the on/off faceplate, slide the washer on and then replace the nut and faceplate. 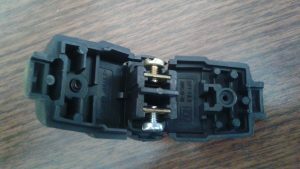 You can hold both sections of ½” split plastic in place by wrapping electrical tape around it. 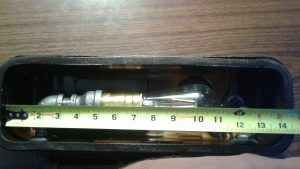 Once you have properly insulated the terminals with electrical tape and the ½” split plastic, pull the wire thru the rest of the lamp assembly. Make sure you label the wire that goes from the top “ON” side of the terminal somehow. 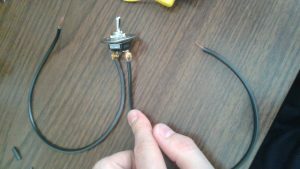 Once you have the toggle switch installed, it’s time to wire it into the lamp wire that goes back to the light socket. In order to do this, you need to cut ONLY the hot wire coming back down thru the pipe from the lightbulb socket. So cut the hot wire in half and pull each of the severed ends of the hot lamp wire away. Cut it as shown in the picture and then attach the “ON” side to the section of the lamp wire that is higher up. In the photo, this would mean attaching the wire that has the green marker on it to the section of the hot wire running to the left of the knife. The picture above is just for illustrative purposes only, but in reality the section to the left of the knife would be going back up through the rest of the pipe back up to the black light socket. The section of wire on the right of the knife would go back down through the rest of the pipe and out the bottom of the harmonic balancer. Remember: if you mess this up and burn your house down or electrocute yourself it’s on you 🙂 if you aren’t sure about doing this seek qualified advice. 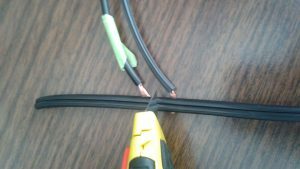 Once you’ve done that, we recommend shielding both connections using the ½” split plastic and then fixing it in place using black electrical wire. Once you’ve done this, you are ready to connect the harmonic balancer. Once you’ve drilled out one of the threads, put one of the ¼” flathead bolts through the floor flange and put the nut on the other end as shown in the picture below. The one bolt will now hold the floor flange in place and while you drill out the other threads. Now drill through the threads in the other two holes all the way thru the ¾” floor flange on the bottom. Once you have all three holes drilled out and thru the floor flange, it’s time to countersink the bottom of the floor flange as shown below. 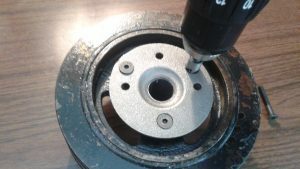 Once you’ve done this, you can install felt pads to the bottom of the harmonic balancer to keep it from scraping any surfaces the lamp sits on, and to raise the harmonic balancer high enough to allow the lamp wire to pass underneath the lamp. To do this, separate the 2 strands of lamp wire as you have done before and remove enough of the sheathing so you can loop it around the terminals as you’ve done before. This is the socket that we typically use and it’s an easy wire plug by Leviton. We recommend only using LED lights as they emit less heat. With regular lights, we have found that the heat they give off can cause the valve cover, the semi-gloss clearcoat and the pipe to off-gas a bit where they give off some fumes. In doing this or any other DIY project, it’s important to take your time and be safe. If you get frustrated, it’s best to leave the project for a bit and come back to it later once you’ve cooled off. Don’t forget that if you run into trouble, you can find more help in the free how to guide for this project here.